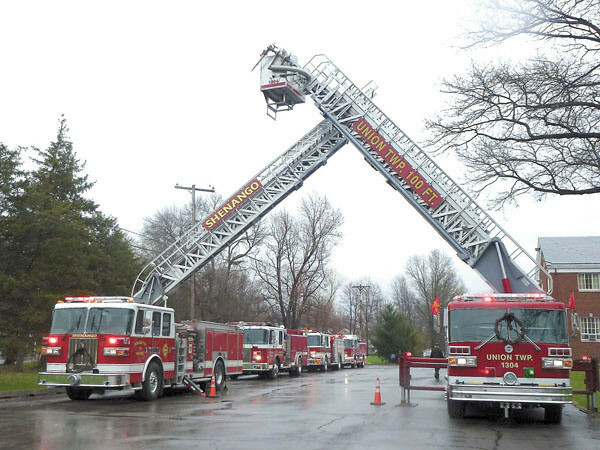 The crossed ladders on fire trucks signify the passing of a firefighter. This tribute outside of Northminster Church is for Jack Stoner, who served more than 50 years with the Union Township Volunteer Fire Department. Stoner, a former fire chief, died earlier this week.